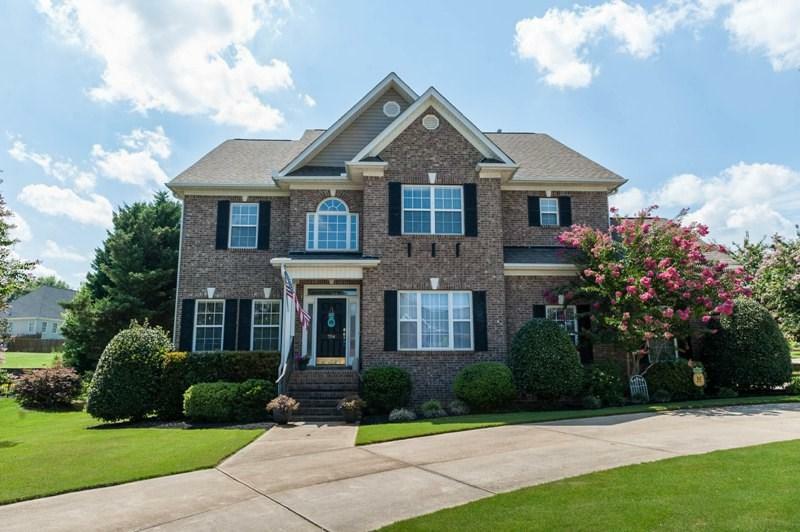 704 Gorham Drive, Boiling Springs, SC 29316 (#253706) :: Century 21 Blackwell & Co. Realty, Inc.
Sterling Estates - Brick, traditional two story home on a corner lot has much to offer for the growing family. Beautiful entry foyer opens to dining room and home office. You will enjoy the keeping room / eat-in kitchen area. Greatroom offers a second venue for entertaining as well. Screened porch overlooks privacy fenced backyard. Master suite features a trey ceiling, and has a bath with double vanity, garden tub and separate shower. Guest rooms have a "Jack and Jill bath" and a private guest suite is perfect for the older teens, etc. Neighborhood pool/clubhouse!